OOOH! A PRESENT! SERIOUSLY?! THIS IS MY DAY OFF! STOP DYING BRUTAL DEATHS! 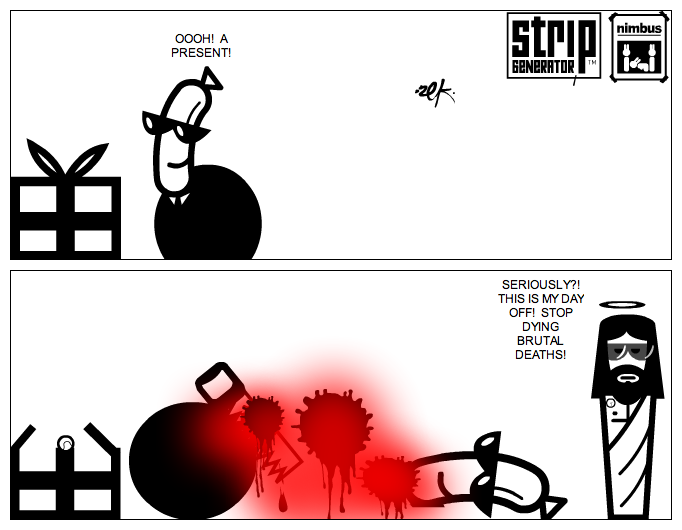 it's a little know fact that saws given as presents will attack you and cut off your head ! Hahaha oh man his head got cut off!